I’m going to talk to you about Cambodia. On the flag there are three stripes two blue on the top and bottom and red in the middle and in the middle of the middle stripe there is a building called the Angkor Wat. Blue is a symbol of royalty, red is the people and the white on the Angkor Wat is a symbol of spirituality. The capital is Phnom Penh. There are no stop signs making traffic a free for all. In Cambodia there are a lot of rivers. One of the best things about Cambodia is the food. In Cambodia they eat a lot of insects. The population in Cambodia is 15.5 million people. Cambodia is a third world country. 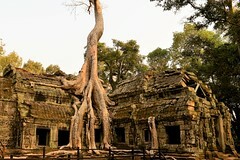 Cambodia has dealt with a lot in the last half century. Here are ten facts about Denmark. 1. There are 1419 islands in Denmark but only 74 are inhabited. 2. Denmark is in Europe. 3. The capital is Copenhagen. 4. Denmark’s landscape is pretty flat. 5. Lots of countries buy Denmark’s Christmas trees. 6. Denmark’s weather is a bit dreary and rainy. 7. Denmark’s population is 5.7 million people. 8. Most of Denmark’s people are Danish. 9. There used to be a lot of vikings in Denmark. 10. Princess Mary from Tasmania is married to the prince of Denmark. I’m going to talk to you about the Bahamas. The Bahamas is the richest in country in the Caribbean. On the flag there are the colours blue yellow and black the black is an arrow pointing to the right and there are three stripes the top and bottom are blue and the middle is yellow. The black is the force and strength Bahamian people the yellow is the sand and the blue is the water surrounding it. There are 29 official islands, 661 cays and 2387 rocks most are uninhabited. New providence is the most populated island. The capital city is Nassau. There are lots of hurricanes in the Bahamas. There used to be a lot of pirate activity in the Bahamas. It used to be inhabited by the Lucayan people. Th Bahamas is part of America. I’m going to give you some facts on Afghanistan. The Capital of Afghanistan is Kabul. The population is 31 million. They are really good alies with Turkey and business partners with India and Iran. Most of there landscape is mountainous. Most of the people there are in the Pashtun tribe. Also most of the people speak Dari. In Afghanistan they make a lot of money by harvesting fruit and other things. The things they sell the most of are almonds, apricots and pomegranates. There are three colours on the flag they are red black and green the red represents the blood of the people who fought in the war the black represents the bad past and the green represents the hope and future. Hope you liked the facts if you have any questions ask them in the comments. I love school! School is really fun my favourite subjects in school are geography and maths. In school I play netball for my school and a club and I’m going to start a new club soon. In my family I have my 4 brothers, 1 sister, my mum, dad, step mum and step dad. To find out more about me, check my About Me page.